In order to prevent confusion between past climate changes and this Climate Change, I humbly suggest that we capitalize this one. There’s something special about today’s Climate Change. 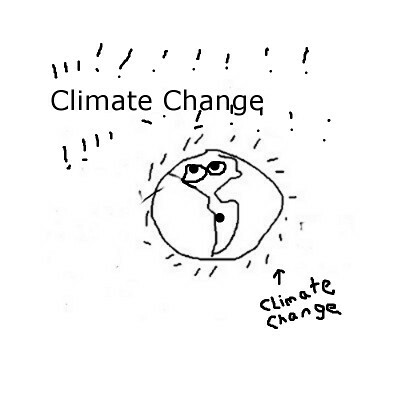 It’s not like the other major climate changes, which have occurred throughout our planet’s history. So, for clarification, we should capitalize this manmade, unprecedented climate change event that has warmed the planet since about the mid 1800’s and continues to jeopardize our future. We often capitalize events that stand out as extraordinary—The Great Depression, the Middle Ages, the McCarthy Era, etc.—where we differentiate the specific from the common, so this wouldn’t really violate grammatical protocol or precedence. Of course we shouldn’t arbitrarily capitalize words willy-nilly according to our predilections or the whole idea of capitalization will lose its meaning. Reading old texts before the 1800’s can seem like a minefield of Attention-Getting words that no longer have the Impact they had on their Authors, making these old texts not only Difficult to read but oftentimes seeming to border on Hysteria. 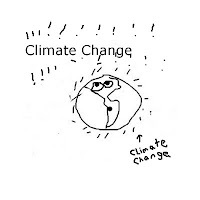 However when Climate Change is not capitalized, it loses its special designation and becomes blurred in many people’s mind with events in the distant past. Granted, many deniers purposely confuse this Climate Change with the others, which have been occurring since Earth’s early bacteria generated an atmosphere. But this climate change is different, different in a moral and practical way that makes it critical that we don’t confuse it with past climate disruptions, which mostly occurred before humanity graced this planet. We caused this Climate Change. We need to take responsibility for it. And we need to understand it because we won’t discover solutions if we don’t accept the causes. Nor can we talk about sustainability unless we factor in all that Climate Change contains. We didn’t purposely set out to cause this climatic disruption. But the recent Paris Agreement, a worldwide acknowledgement of Climate Change’s importance, elevates this climate change crisis out of the ordinary. Climate Change, though it may not prove to be as devastating as the previous five extinction events (which were either a result of a changing climate or caused one) is fundamentally different than all the others. Humanity has arbitrarily carved up our present environment by our various infrastructures—water, transportation, telecommunications, etc.—that are now critical to the lives of seven billion people. These infrastructures will be greatly impacted by Climate Change (more heat and flooding), and in turn these infrastructure breakdowns are going to compromise both our ability and all other living beings’ ability to adapt to this sudden warming. For example, there are precious few studies about how our highway systems have limited both plants’ and animals’ need to keep moving in order for them to retain the environmental conditions that they evolved with. Our predilection to divide up our environment for our purposes instead of following nature’s lead is going to severely constrict our ability to adapt. Our pollution of the air, water, and soil with industrial waste (much of which is comprised of compounds never before introduced into our life support system) now exists on an order of magnitude that may jeopardize the health of our environment. Our ubiquitous damming and rerouting of waterways further restricts nature’s ability to adjust to the warming. And we’ve unleashed so many invasive species into our ecosystems that there’s no telling how any adaptation scenario will play out. In other words, humanity would most likely have a major catastrophe coming even if we weren’t also baking this extraordinary mix with our greenhouse gas emissions. This complexity surrounding Climate Change also explains why it’s difficult to pin down exactly what this Climate Change is and why there are no simple solutions. Climate Change is not your great, great, great, grandmother’s climate change. Giving Climate Change special emphasis by capitalizing it will go far in keeping this phenomenon from becoming buried in the humdrum of things we should care about and escalate it to something we absolutely have to address.